You can raise the ultimate Pokémon! What is this world coming to?! It's a Pokémon game all about the weakest Pokémon ever—Magikarp! Anyone can play this simple game in their spare time to create the most majestic Magikarp ever in this official Pokémon app! What kind of Pokémon is Magikarp? 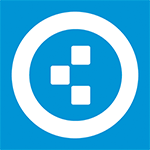 It's famous—for being pathetically weak, unreliable, and generally useless. It can't learn any powerful moves—all it does is flop around and splash! When it flops its way too high in the sky, it's sometimes snagged by the Bird Pokémon Pidgeotto—never to be seen again! Many surprising events lie in store for this pathetic Pokémon. But don't worry—it'll just keep on jumping until it can jump no more! Getting progressively stronger to conquer the League Battles; catching new and different variations of Magikarp to add to your pattern dex; knowing when it’s time to move on to the next Pokémon: all of these contribute to the rewarding sense of growth and collection that should appeal to Pokémon fans and non-fans alike. 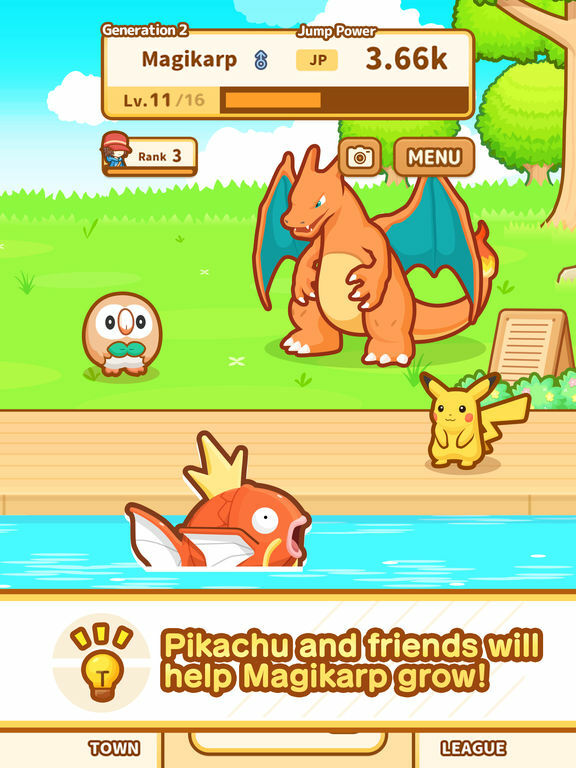 If you enjoy these aspects of the series, event-based clicker gameplay, or the Magikarp Song that has been linked directly from the in-game TV, then you’ll almost certainly love Magikarp Jump. Training is boring; the jumping competitions are boring; and having to click through the dialogue of the guy who can’t tell if I am a boy or a girl who gives me a handful of coins is incredibly boring. The lack of interactivity sometimes makes it feel like a visual novel, but without any real story. 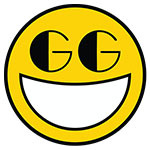 The bits of enjoyment I did draw from the game were based mostly on the goofiness of the silly premise, but repeating jokes only makes them less funny. 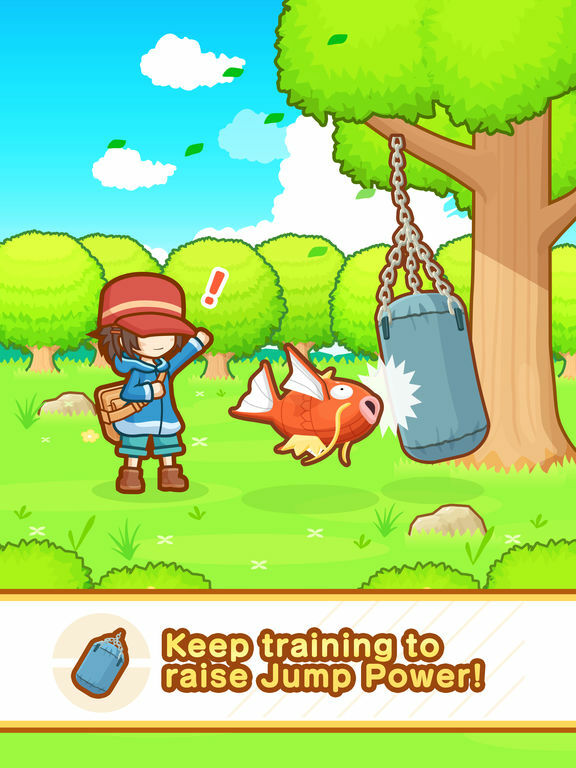 Magikarp Jump isn't a great game so much as it is a curious, clicker-esque thing. It is laudable insofar as it takes a totally uninteresting gameplay loop and actually gives some life to it. This doesn't make Magikarp Jump feel any more like a satisfying game, but it does make it one of the more interesting Pokémon titles out there. A more-than-serviceable mobile game, cute and time-filling, but some may feel it rests on its laurels of being a Nintendo title. 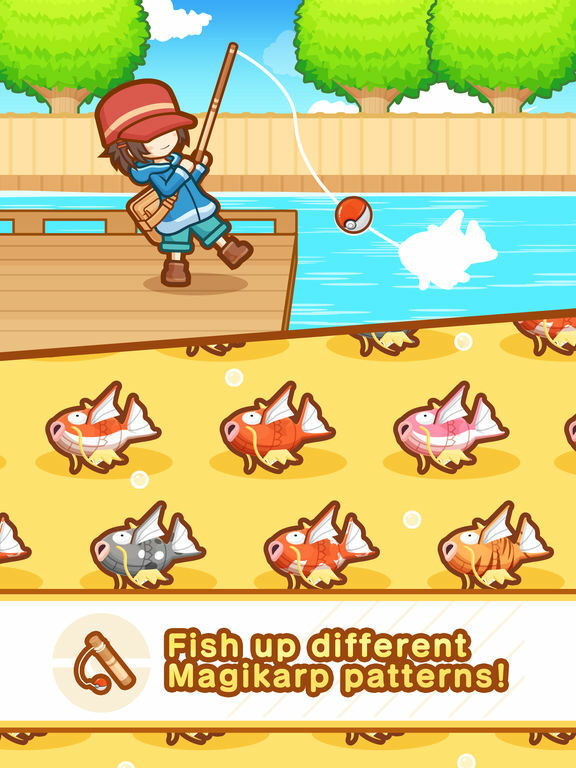 Magikarp Jump breaks all the rules about what a good game is supposed to be. It is a mixture of the dirtiest, most nefarious design choices modern gaming has to offer, and it is beloved for it. 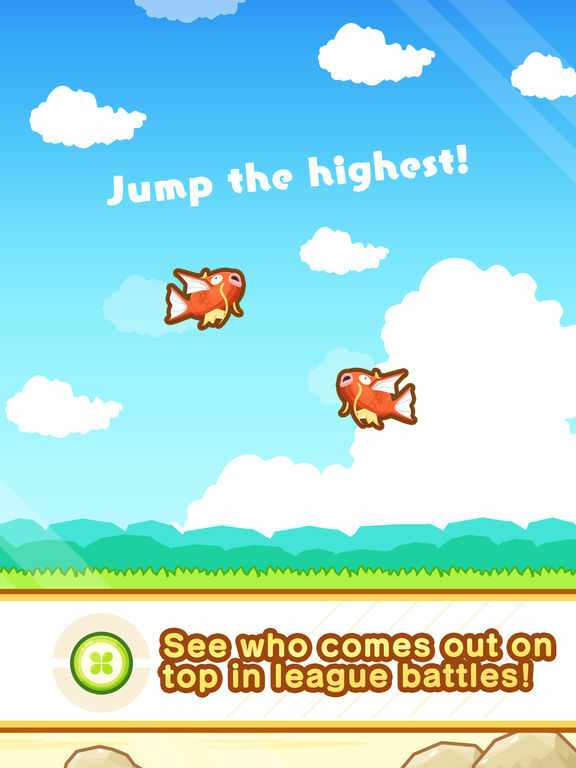 Magikarp Jump is the perfect satire game that turns annoyances into features. A game that mixes nonsense and idling into a strange but compelling package. 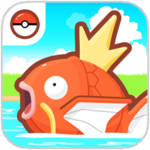 Overall, Pokémon: Magikarp is a fascinating package. It has great style, but it severely lacks in gameplay. It feels like the epitome of a generic mobile title with a Pokémon twist, which is somewhat unfortunate. With no gameplay other than feeding the fish and playing "whose stat is bigger? ", there's just unfortunately so little to the game. It's definitely something fun to play on the bus or the train to kill time, in a style similar to other mobile games that have you looking after animals or buildings, but it just lacks the depth that we've come to expect from the other Pokémon mobile titles such as Pokémon GO, Pokémon Duel and Pokémon Shuffle. 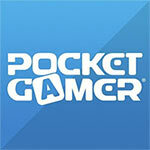 While it's easy to recommend having it on your mobile device, it's hard to recommend paying for microtransactions. 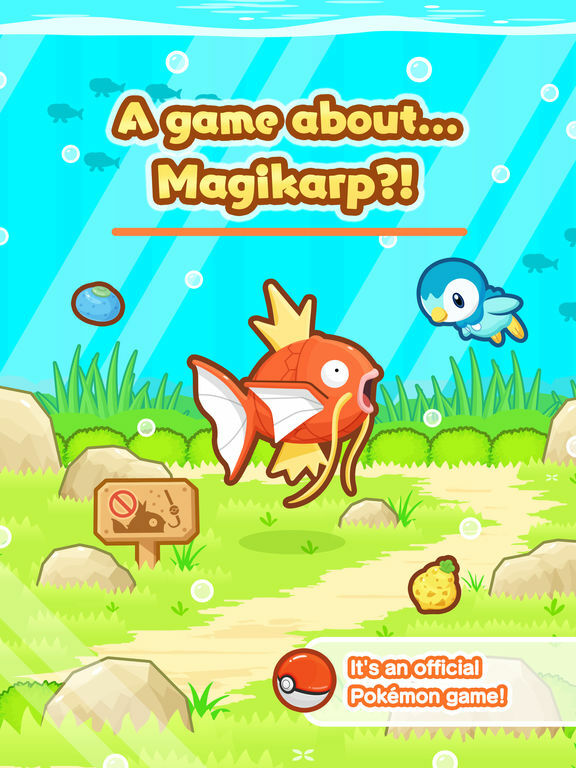 La aplicación no tiene mucho recorrido, ni es demasiado profunda en su historia, pero qué podemos esperar: ¡está protagonizada por Magikarp! Además se trata de un juego gratuito, que ofrece compras dentro de la app, pero que no son realmente necesarias, porque ‘farmear‘ a base de echarle horas es parte de su encanto. Eso sí, cuenta con una estética y un humor especialmente diseñado para el disfrute de los fans de Pokémon. De ahí su éxito, al menos en millones descargas. Lo de que la gente eche más de tres días jugándolo, ya es cuestión de ser muy fanático de Magikarp.